This is wine #1 of 6 that I'll be reviewing by Suhru. 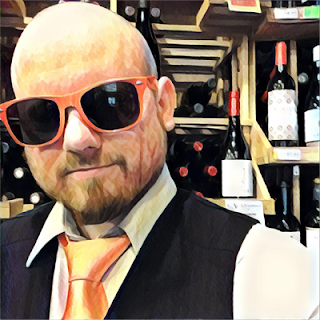 Today is the 2017 Pinot Grigio, and then I'll also be reviewing their 2013 Ember red blend, 2017 Sauvignon Blanc, 2016 Dry Riesling, 2013 Shiraz, and NV Brut. To see all of them, or the ones that have been published already, just check out the month on the blog. 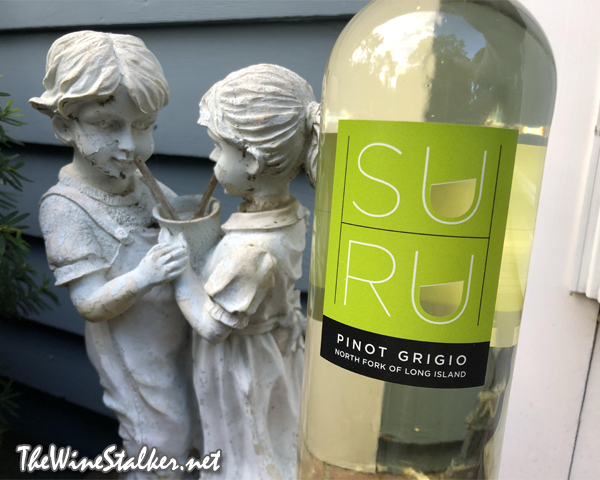 The 2017 Pinot Grigio is grown in Riverhead on the North Fork of Long Island, and they consider their PG to be their signature wine. It was fermented and aged in stainless steel tanks with no malolactic fermentation or barrel aging. The color of the wine is a very pale straw yellow. On the nose there's aromas of apricot, clementine, lemon thyme, hay, and spearmint. There's another element on the nose that I'm having issues pinpointing, but my brain keeps saying "white chocolate". On the palate it's light bodied with a sharp mouthfeel, bright acidity, and the slightest drop of sweetness. There's flavors of green apple, lime lollipop, and wet stone. The crisp finish leaves you with green apples and a lovely salivating acidity. Here I was totally thinking "whelp, this is the one that I'm probably not going to like" but I'm really enjoying this! For the same price you could get Santa Margherita but this guy kicks that overpriced bullcrap right in the teeth! Not very often am I going to drop $17 on a Pinot Grigio when you can find gems for much less like La Vis Dipinti or even the surprisingly tasty Hess Pinot Gris, but I would have no problems shelling $17 out for this one. FYI, I was going to leave the rest of the bottle for my wife but it was too tart for her taste. Guess it's all mine!